This Bachelor of Health Science (Exercise) from the Australian College of Physical Education (ACPE), provides targeted professional training, familiarising you with human anatomy, biomechanics and physiology. Throughout this course, you will learn about how movement, exercise, nutrition and lifestyle opportunities impact human health. You will also be taught to consider strategies for promoting health awareness in tandem with bioscience training. This course will ready you for employment in the occupational health sector and is offered for full or part-time study on campus (with selected subjects available online) at ACPE. 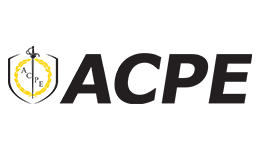 Take a look around ACPE's Sydney campus. Upon successful completion of this course you will receive a nationally recognised, accredited Bachelor of Health Science (Exercise) from the Australian College of Physical Education. Completion of this bachelor degree will also enable you to go onto postgraduate studies and pursue specialised allied health positions.